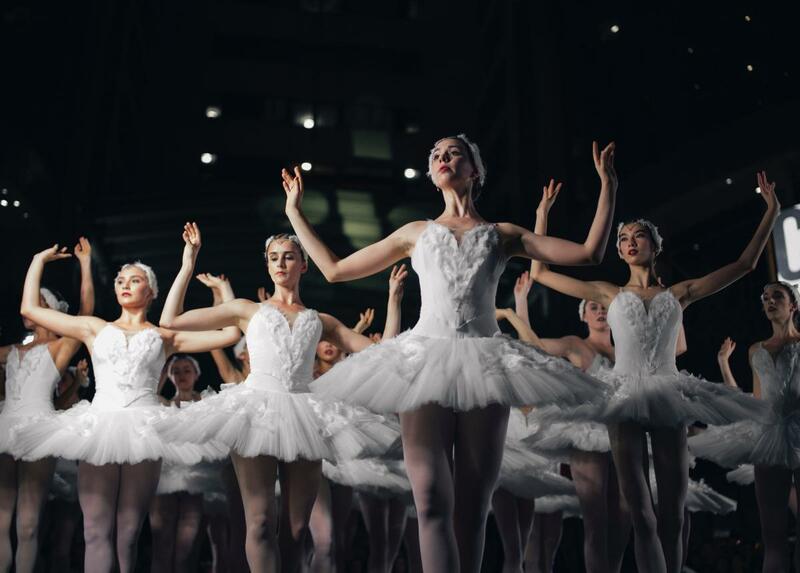 From local theatres to ballets, Charlotte's thriving art community has something for everyone. Tired of hanging out at the mall or going out to lunch again? Try an art museum or a matinee performance! There’s many options to chose from, but this checking out the places on this list of arts and culture in Charlotte is a great way to start. The Bechtler Museum of Arts was created when Andres Bechtler decided to take part of his family’s collection of Modern Art and commit it to the city of Charlotte. A building was then constructed to house the collection by Swiss architect Mario Botta, who created a building that encapsulated his minimalist style and use of traditional building materials. Inside, you'll find a collection representing the most important art movements and schools of the 20th century. Artists include Alberto Giacometti, Joan Miro, Jean Tinguely, and Barbara Hepworth, and much of the work by each artist focuses on a theme or subject matter. Tickets are $8 for adults; $6 for seniors, college students, and educators; $4 for youth ages 11 through 18, and free for children 10 and under. The Harvey B. Gantt Center for African-American Arts + Culture strives to present, preserve, and celebrate excellence in the art, history, and culture of African-Americans and those of African descent. Through their work, they hope to inspire and empower people through conversation. The Hewitt Collection is the cornerstone of the museum’s permanent collection and includes work from artists such as Romare Bearden, Henry Ossowa Tanner, and Elizabeth Catlett. With several temporary exhibits, there’s always something new to see. The museum is open 10:00 a.m. to 5:00 p.m. Tuesday through Saturday and from 1:00 p.m. to 5:00 p.m. on Sundays. Tickets are $9 for adults and $7 for seniors and youths ages six through 17. Funded in 1932, the Charlotte Symphony has been dedicated to bringing exceptional musical experiences to the Charlotte community. Their main season runs September to May including Classical, pop, edgy altsounds, and a family-friendly Lollipops series. They also have annual seasonal programs: the Magic of Christmas, Handel’s Messiah, and Summer Pops. The Charlotte Symphony serves as the soundtrack for the community’s ballet and opera performances, support two youth orchestras, and are deeply involved with musical education. Tickets range by price level and events, and packages include multiple shows in the same core series. Charlotte Ballet is a world-class repertory dance ensemble. They challenge, stimulate, educate, and entertain audiences through classic, contemporary, and cutting-edge dance. In addition to their academy, they also offer school and adult programs. Their seasons run from the fall to the spring, and their most popular show is their production of The Nutcracker. Tickets generally range from $15 - $8,5 and special pricing includes student and professional dancer rush tickets that range from $10 to $30. Group rates are also available. The Mint Museum is split between two locations: the Mint Museum Uptown and the Mint Museum Randolph. Housed in the original branch of the United States Mint, the Mint Museum Randolph opened in 1936 as North Carolina’s first art museum and holds collections covering 4,500 years of world art history. The museum features a reference library with over 15,000 volumes as well as a theater featuring lectures. The Mint Museum Uptown includes the Mint Museum of Craft + Design, American, Modern + Contemporary, and European art. Tickets are $15 for adults, $10 for college students, and $6 for seniors and children ages five through 17. Children four and under are free as is admission to the museum on Wednesday from 5:00 p.m. to 9:00 p.m.
A volunteer-based theatre company, Theatre Charlotte was founded in 1927 when the Charlotte branch of the American Association of University Women joined the grassroots movement to mount amateur theatricals. Every year, hundreds of volunteers are actors, crew members. and ushers. Theatre Charlotte encourages people of all ages and experiences to join their productions. They perform both plays and musicals, ranging from contemporary to Shakespeare. Tickets are available for single shows and at group prices. At these theatres and museums, you'll get a true sense of Charlotte's arts and culture scene while switching things up. Let us know what your favorite arts experience was in comments, and register on 704area for more things to do in Charlotte.